The publisher Peter Lang just distributed a catalogue with an overview of their impressive series called Linguistic Insights, Studies in language and communication, edited by Maurizio Gotti from the University of Bergamo. 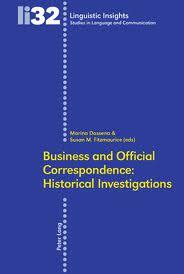 Marina Dossena and Ingrid Tieken-Boon van Ostade (eds. 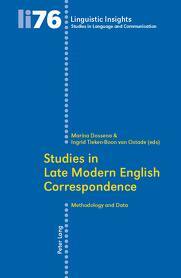 ), Studies in Late Modern English Correspondence (2008). But apart from these there are many other titles that will of interest for this subject and that are therefore well worth reading. This entry was posted in 18th-century letters, 19th-century letters, news and tagged Peter Lang. Bookmark the permalink.